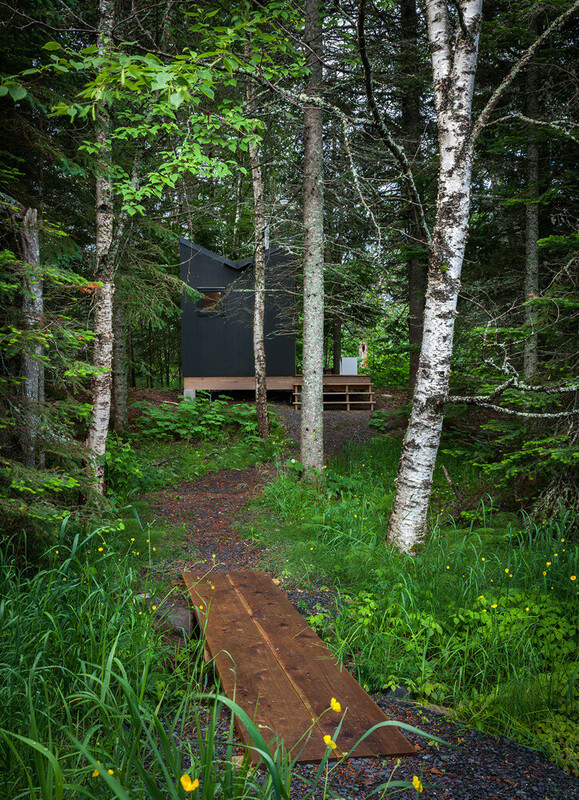 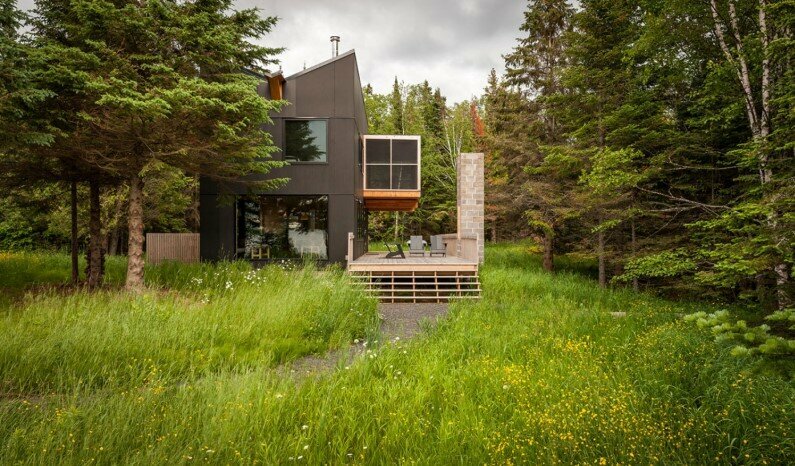 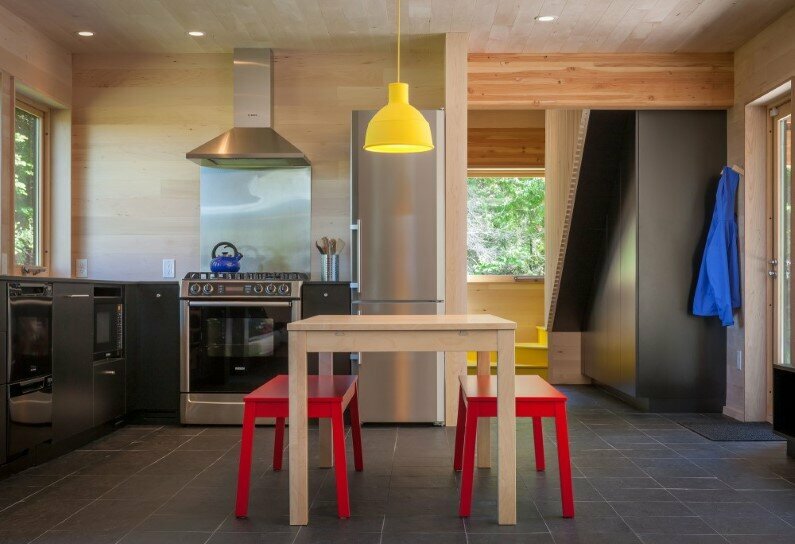 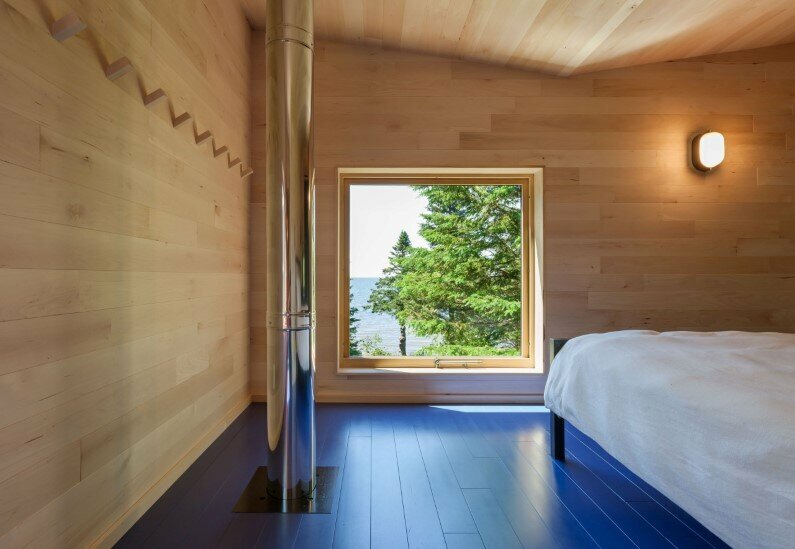 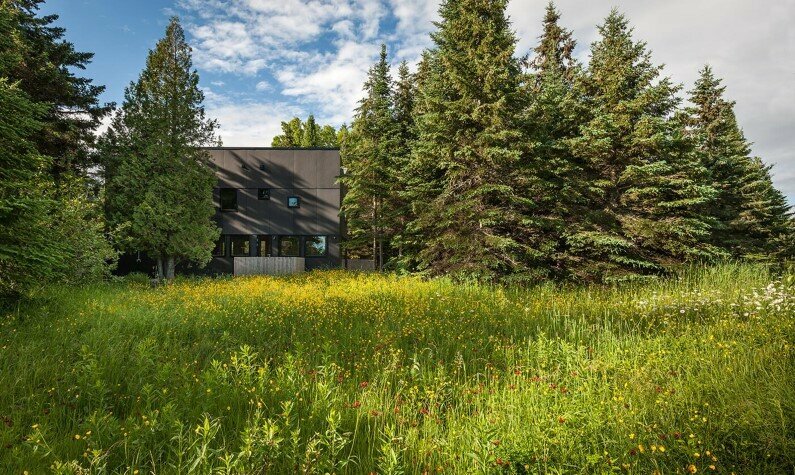 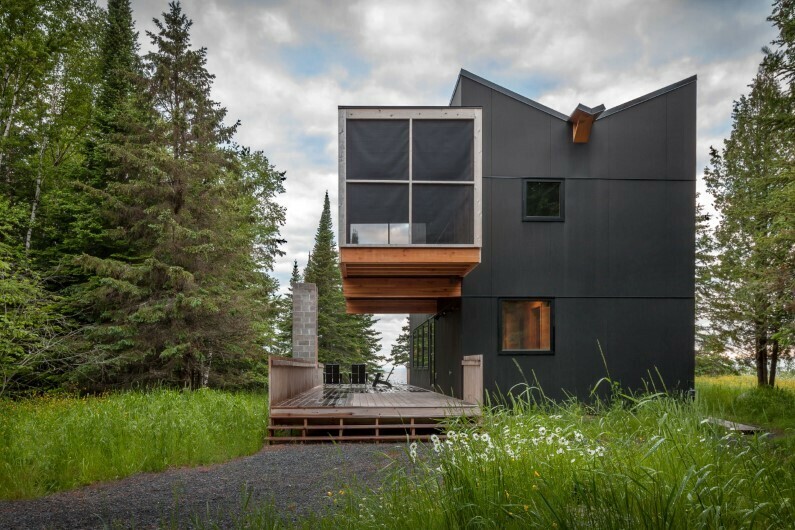 Projected by Salmela Architect, this family retreat is located on the shore of the Superior lake in Duluth, Minnesota. 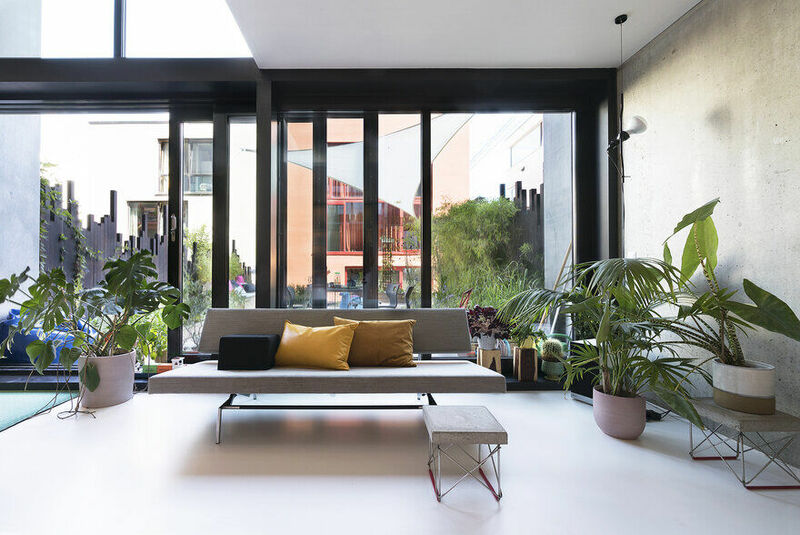 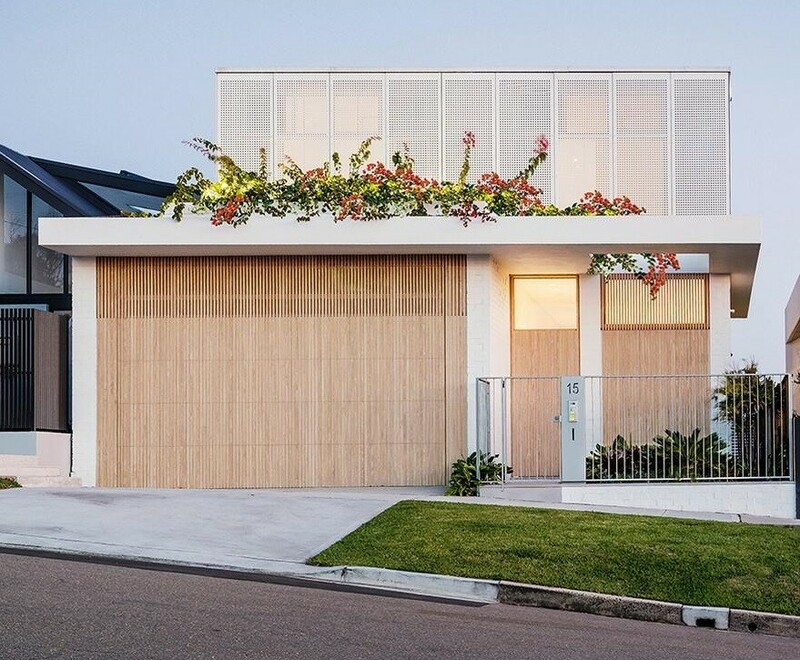 Realized on an area of 1,280 square feet, the building is bold and it remarks itself through the butterfly roof and a cantilevered screened porch situated on the second floor. 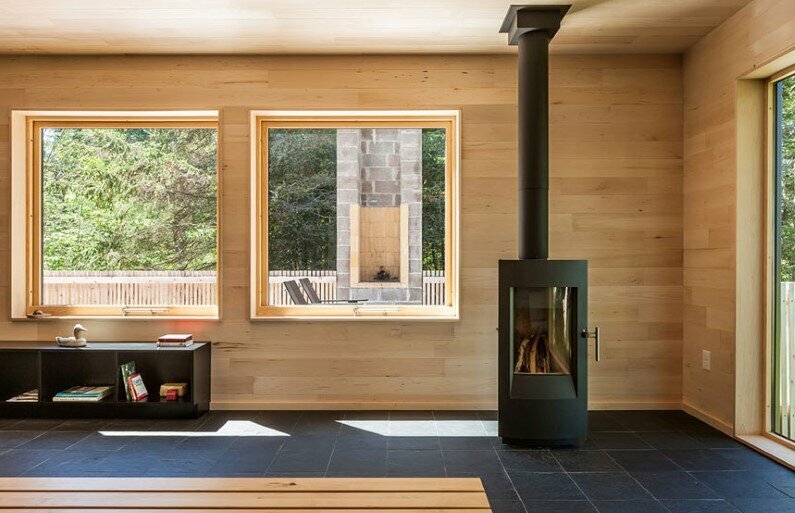 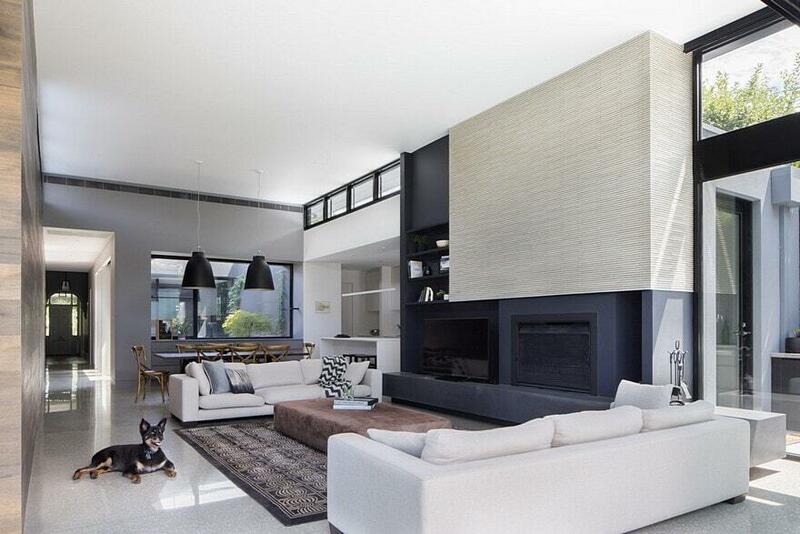 The living area extends outside with a wooden deck, delimited by a stone fireplace. 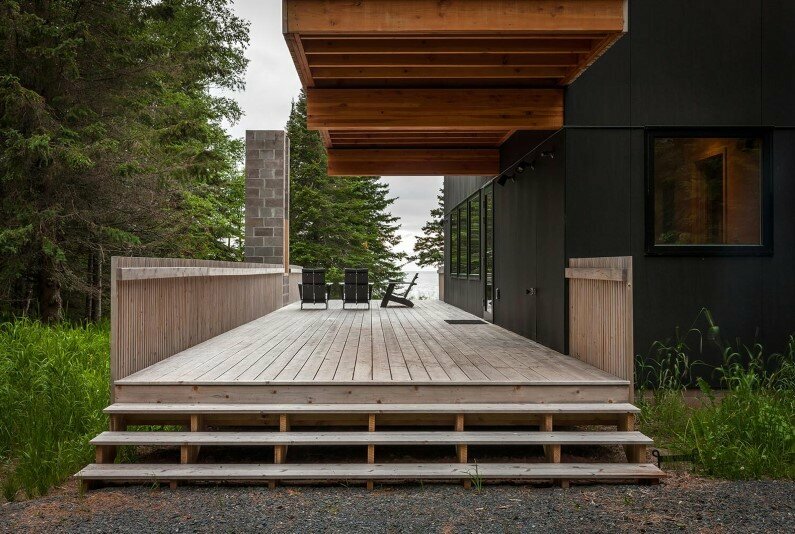 The porch from the second floor is covered with cedar vertical planks that contrast with the black composite material that covers the rest of the volume. 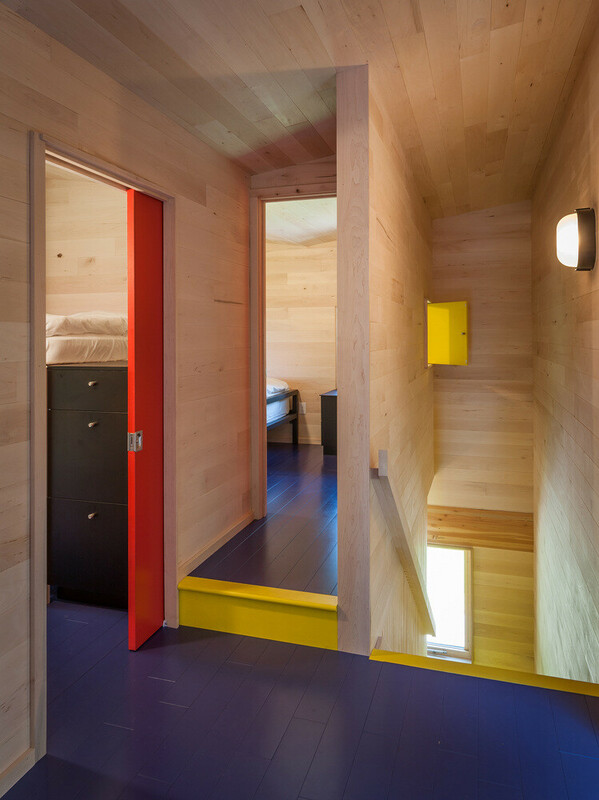 The interior walls are covered with cedar wood that constitutes a highlighting background for the red, yellow and blue spots. 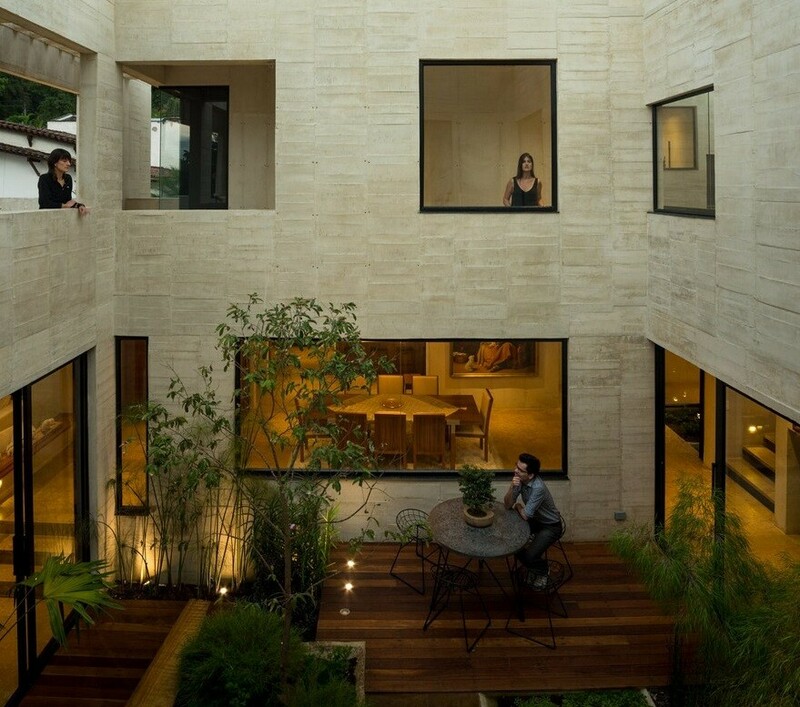 At the ground floor, there is the kitchen and living room that have a beautiful view towards the lake through a window. 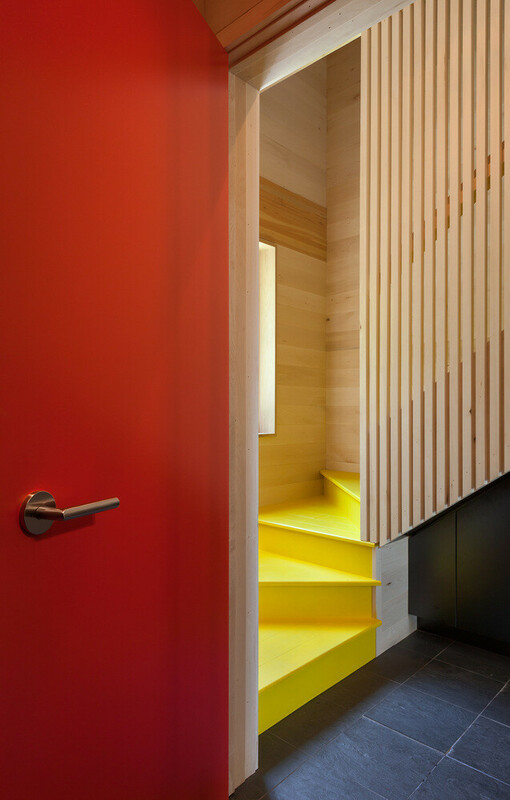 A yellow painted staircase leads you up to the bedrooms and guest room located on the second floor. 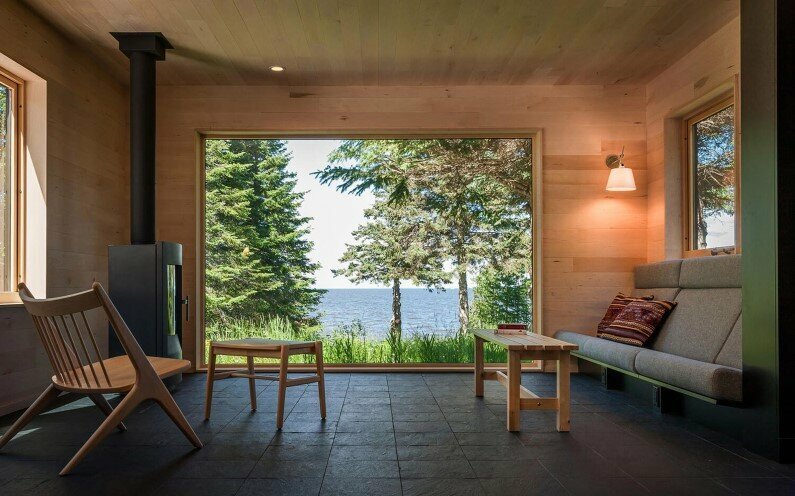 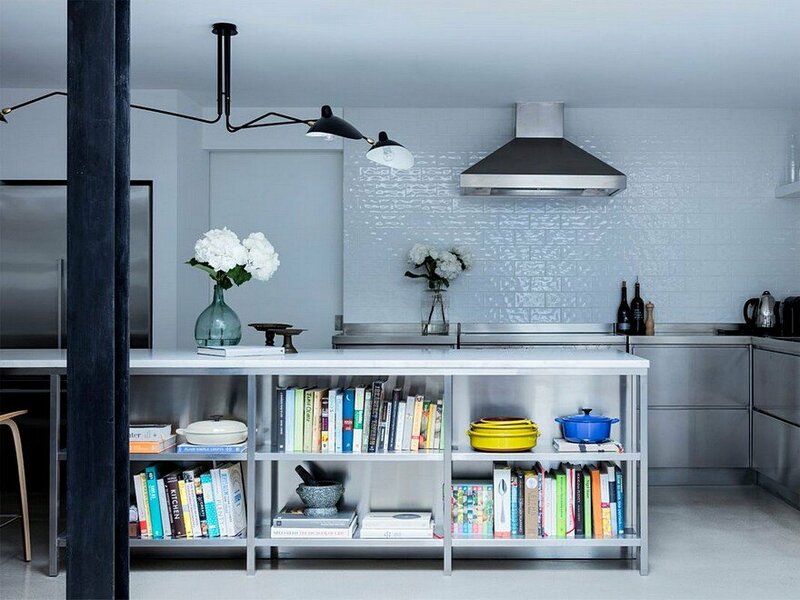 The furniture is reduced to the bare essentials; it is simple and devoid of abundant details, contributing in this way to the spatiality of the refuge and comfort.